Marie Jay's Metals (Marie Jay's Metal Products Co., Limited) is a professional manufacturer of tungsten carbide wear resistant components and cutting tools solutions, and precision-machined components made of various metals solutions. Marie Jay provides precision machined parts and sub-assemblies to manufacturing companies and trading companies around the globe, so we can satisfy diverse market application challenges offering standard product and custom engineered solutions. Our mission is to supply our customers with high-quality standard Tungsten Carbide Products and precision and semi-precision custom manufactured products at our clients' requests. The Marie Jay's Metals Company is defined through 2 industries lines-Marie Jay's Carbide Industry for tungsten carbide products, Marie Jay's Precision Machining Industry for machining titanium & Titanium Alloy, tungsten, molybdenum and other metal materials etc. For the Marie Jay's Carbide Industry, Marie Jay's Carbide dedicates itself to tungsten carbide field to be a professional producer and supplier of carbide products. It has a scientific system. Its Products & Services, Manufacturing Equipment, Manufacturing Process, Technical Personnel, Quality Control, Testing Equipment, Management, Lead Time, and After-sales Services, each of them is managed and controlled strictly. 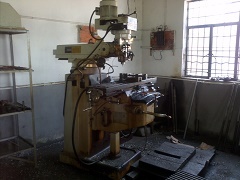 We work with some Cemented Carbide factories very closely by joint stock method. And each factory has their competitive products. Work with us, you will benefit financially and conveniently from our good quality and services, and competitive prices. Because of Marie Jay's Carbide's serious work attitude, it is a good and reliable partner to work with. 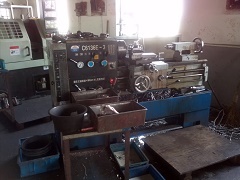 For Marie Jay's Precision Machining Industry, we not only have good work shops in Zhuzhou by working with joint stock method, but also have a very talented work shop in Shanghai to work for us by joint stock. 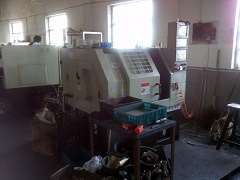 Thus, we can supply very complex metals parts according to customers' requirements. Marie Jay's Metals owns a team of people who are professional in the field of international business as well as professional knowledge. They work in Zhuzhou M & J Import and Export Co., Ltd., which is a subsidiary of Marie Jay's Metals Industries. Because of their works, Marie Jay's Metals' products and services to customers always are fast and immediate response, and always reliable. And with their many years' hard working, so far we have developed very strong and stable business relationships with customers in USA, England, Korea, Singapore and Norway etc. Tungsten carbide products series: Carbide rods (with holes or not, ground or unground), carbide bars, carbide strips, STB carbide blanks, carbide plates, carbide blocks, carbide sheets, carbide flats, wire drawing dies, cold forging dies, carbide nibs or pellets, carbide bushes, punching dies, milling cutters, disc cutters or circular knives, saw blades, cutting tools for wood and bamboos, saw tips, drill tips, mining tools, drilling bits, burrs or burr blanks, ceramic tile cutters, glass cutting wheels, tile cutter wheels, scriber tips, cutting inserts, indexable inserts shims, wear parts and customized carbide products etc. Titanium and Titanium Alloy Products series: Titanium and Titanium Rods, titanium and titanium alloy tubes, titanium and Titanium Pipe fittings, titanium and titanium alloy plates, titanium and Titanium Alloy Foils, titanium and titanium alloy wires, titanium and titanium alloy fasteners, brazed and casted titanium and titanium alloy products, and customized titanium and titanium alloy products etc. Contact us today and put our vast mechanical knowledge and manufacturering experience to work for you. Being enjoy the benefits of high quality products.